The Faithful Saying: The Sermon at the Consecration of Jonathan Mayhew Wainwright, D.D., D.C.L., Oxon., to the Episcopate, Preached by Appointment in Trinity Church, New York, on Wednesday, Nov. 10, 1852. New York: Church Depository, Daniel Dana, Jr., 1852. 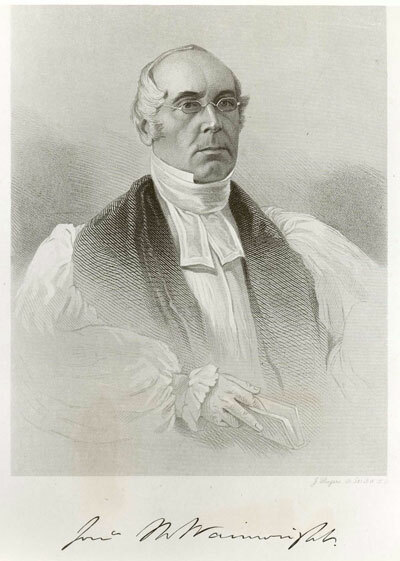 A Sermon Preached before the Annual Convention of the Diocese of New-York, on the Morning of Wednesday, September 27th, 1854, a Few Days Subsequent to the Death of Bishop Wainwright. New-York: Pudney & Russell, 1854. New York: General Protestant Episcopal Sunday School Union and Church Book Society, 1858. A Sermon preached in St. Thomas's Church, New-York, on the 11th Sunday after Trinity, August 26, 1827, being the Sunday after the Decease of the Rev. Cornelius Duffie, A.M., Rector of Said Church. Published at the Request of the Vestry of St. Thomas's Church. New-York: Sold by T. and J. Swords, 1827. A Discourse on the Occasion of Forming the African Mission School Society, Delivered in Christ Church, in Hartford, Connecticut, on Sunday Evening, August 10, 1828. Hartford: H. and F. J. Huntington, 1828. A Plea for Missions: A Sermon, Preached before the Board of Directors of the Domestic and Foreign Missionary Society of the Protestant Episcopal Church in the United States of America in St. James' Church, Philadelphia, on Tuesday, May 13, 1828. New York: J. Seymour, 1828. Sermons upon Religious Education and Filial Duty. New York: T. and J. Swords, G. Long, E. Bliss, and G.C. and H. Carvill, 1829. Inequality of Individual Wealth the Ordinance of Providence, and Essential to Civilization: A Sermon Preached before His Excellency John Davis, Governor, His Honor Samuel T. Armstrong, Lieutenant Governor, the Honorable Council, and the Legislature of Massachusetts, on the Annual Election, January 7, 1835. Boston: Dutton and Wentworth, 1835. No Church without A Bishop; or, The Controversy between the Rev. Drs. Potts and Wainwright. The Responsibilities and Duties of the Clergy. An Exhortation Delivered in Christ Church, Hartford, Conn., at an Ordination Held by the Rt. Rev. Thomas Church Brownell, B.D., LL. D., Bishop of the Diocese of Connecticut, Sunday, the Feast of St. Peter, the Apostle. Hartford: Henry S. Parsons, 1845. Collegiate Education: An Address Pronounced before the House of Convocation, of Trinity College, Hartford, August 4th, 1847. Hartford: Case, Tiffany and Burnham, 1847. The Women of the Bible Delineated in A Series of Sketches of Prominent Females Mentioned in Holy Scripture. A Plea for Unity: A Sermon Preached before the Special Convention of the Diocese of New-York, November 27th, 1850. New York: Stanford and Swords, 1850. New York: Stanford and Swords, 1853. A Memorial Volume: Thirty-four Sermons.